Details one the device are scarce. In photos we can see that it comes with standard fare in the port department. 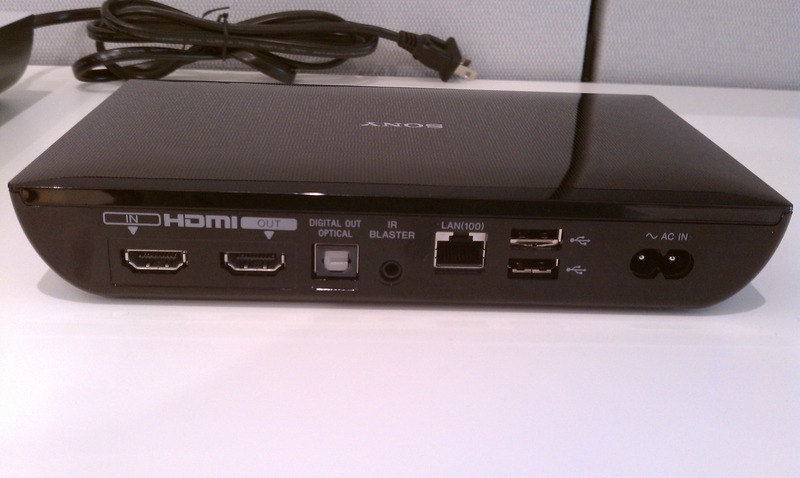 A couple of HDMI ports, optical audio out, ethernet, a couple USB slots, and even an (optional?) space for an IR blaster. The remote, however, is what catches the eye. It's a dual-sided remote, which is useful, if not entirely original, idea. 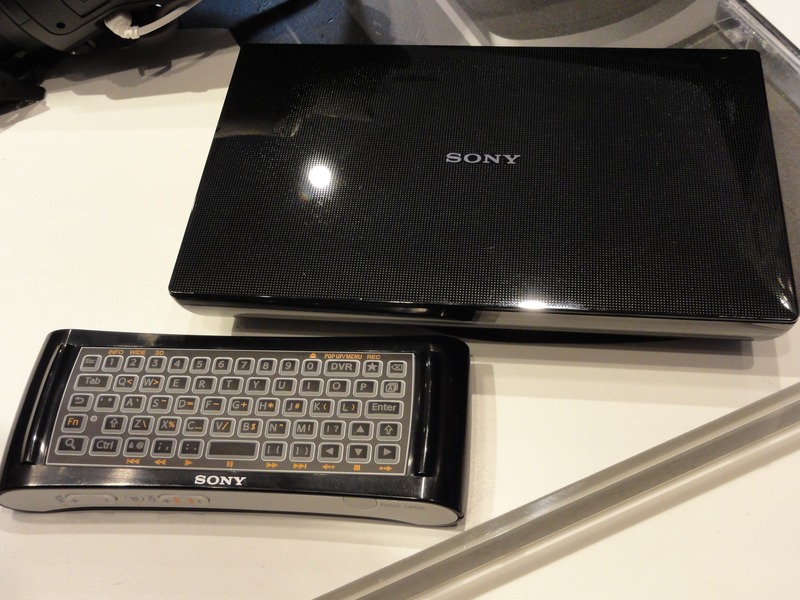 One side has a full QWERTY keyboard, and the other wields a trackpad, directional navigation buttons, as well as a slew of other necessary press-ables. 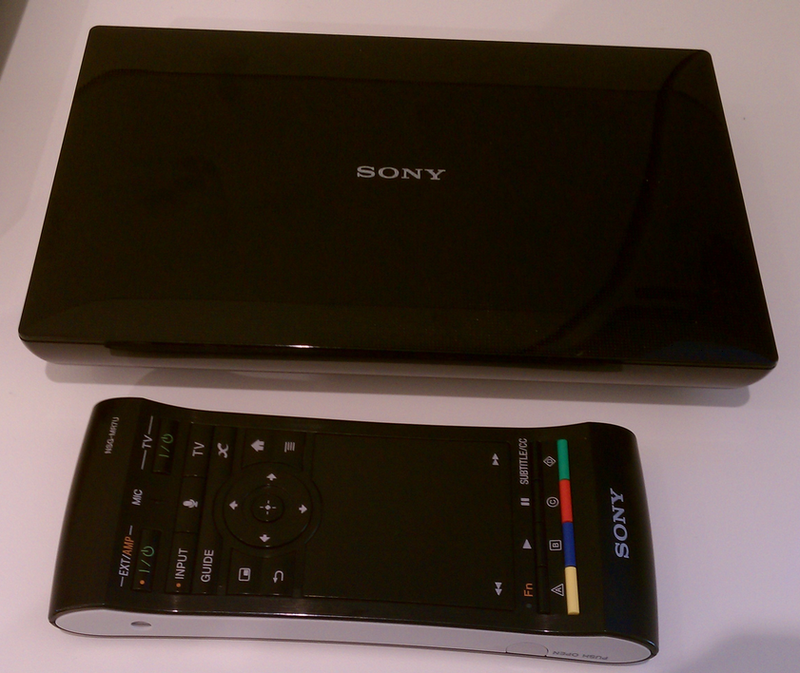 While the set top box itself looks nice enough, the remote looks ungodly awful. 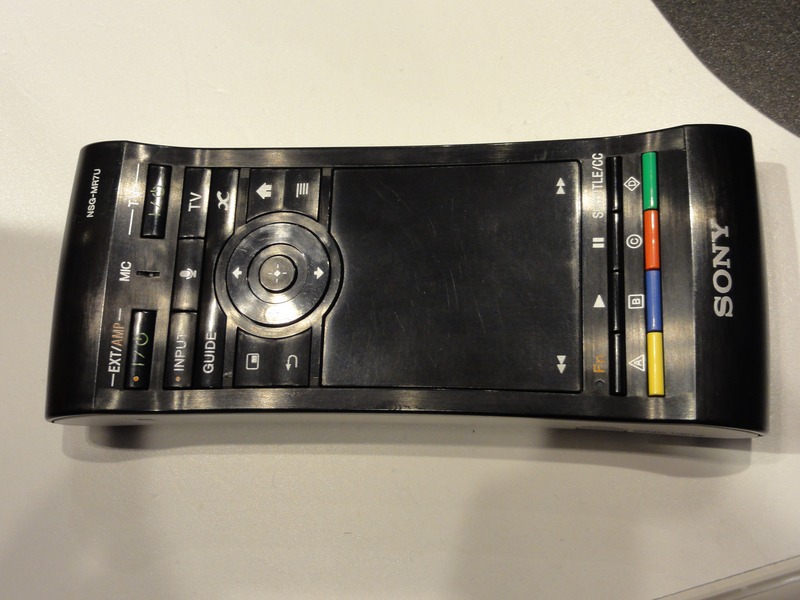 An overwhelming number of buttons is not only a sore sight on this remote, but has also been a problem for the many other Google TV remotes we've seen in the past. Sony didn't have much to say about the device beyond showcasing the shell here, though the company says it will be released in the summer. This could very likely mean an appearance at Google I/O. Of course, the search giant will likely have its hands full, what with single-handedly upending the Android tablet market, but who knows? Maybe Mountain View will be able to squeeze some TV time into its busy schedule. The panel discussion about the device was broadcast via Hangouts on Air. If you're a big enough fan of Sony and/or GoogleTV that you don't mind enduring some crappy audio/video quality, you can check out the full 50-minute panel discussion about the device below.